who will bundle his grudges? who will rig the lottery with me? like I have faces that look like me dreaming? Which one is going to survive? Of indigenous trees, they called the painting winning. same ghosts that got stuck in the throat of carthage. Khulile Nxumalo was born in Diepkloof, Soweto, in 1971. He completed school at Waterford Kamhlaba in Swaziland and went on to attend the University of Cape Town, the then University of Natal and the University of the Witwatersrand, where his studies were focused on media and cultural studies. 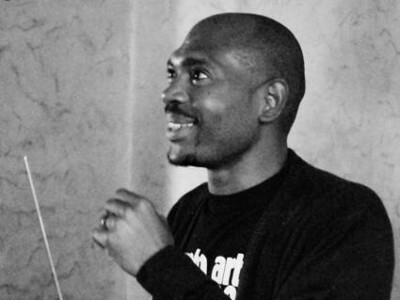 Nxumalo has worked as researcher, writer, producer and director for various production houses in Johannesburg. He has directed inserts for a magazine television programme, a short documentary on young, up-and-coming opera singers and for national education broadcasts. In 2004, Nxumalo’s first collection of poetry titled Ten Flapping Elbows, Mama, was published. That same year, he produced a documentary titled Nabantwa Bam (With My Children) as part of the SABC 1 Project 10 series. Nxumalo has twice been the recipient of the DALRO award for poetry. His work has appeared in several literary journals in South Africa, Canada, the United Kingdom and the United States. In 2013, Nxumalo launched his poetry collection, Fhedzi. Nxumalo lives in Johannesburg with his two children.